Water sports are just so much fun - Swisscoat Water Sports lens blocks 100% UVA/UVB to protect your eyes from the harmful rays. Any sunglasses with the benefit of Water Sports Lens Package will instantly turn itself into a fortress against the elements. Whether you are dry on a sailboat or in the thick of the action on a jet ski, you can be rest assured that your eyes are getting the same protection with the lenses that offer comfort and comprehensive protection. Swisscoat Water Sports Lens Package uses NXT lenses that are coated with advanced scratch-resistant coating that withstands the wear and tear of everyday life. NXT lenses provide safety from the sun’s harmful UV rays and sudden impact from your surroundings while maintaining comfort and visual clarity for the eyes. 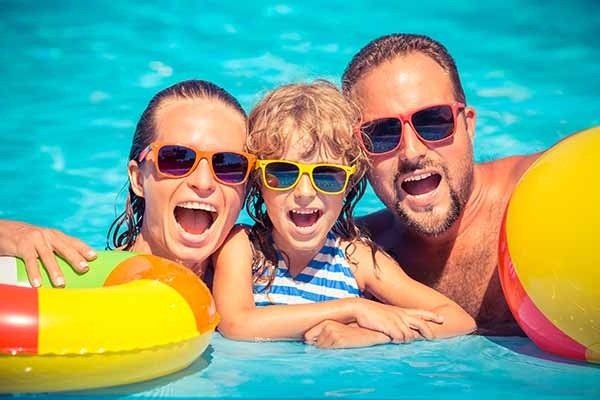 Whether you require Rx sun lenses or regular sun lenses, you will get the same optimal visual experience with an unobstructed view of the world.